Regal and Hypoallergenic Siberian Kitten available now. 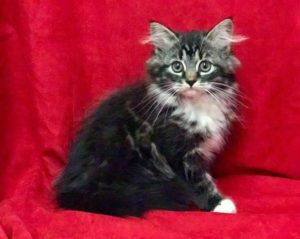 This Black classic with white Siberian kitten is available for her new home. Contact Croshka Siberians located in Atlanta Georgia.